The Columbia River Region of the VCCA has eight officers that provide skills in a number of areas to support our club: Director, Assistant Director, Treasurer, Secretary, Royal Mail Editor, Historian, Membership Secretary, and Tour Coordinator. In addition, there are several committees that are responsible for activities, including the Banquet Committee, Elections Committee, Swap Meet Representatives, Finance Steering Committee, Membership Projects Committee, Website Committee, and several ad-hoc committees. Members who serve in these capacities provides the leadership to make our club a well-run and fun organization for all. I purchased my 1926 Chevrolet Touring the first year I was out of college…a few years ago! I had been interested in old cars since high school when I helped a friend pull a late ‘30’s Dodge (can’t remember for sure) out of the blackberries. I joined the Vintage Chevrolet Club of America in 1974. Life got in the way with work, watching our children’s soccer games…all those things that make life worthwhile, but little time for the old cars. I rejoined the club in 2007 and have enjoyed the friendships, technical help, and fun ever since. I joined VCCA and the Columbia River Region in 1996. I’ve held various positions on the Board over the last 12 years. I have a rather large collection of 25 Chevrolets. 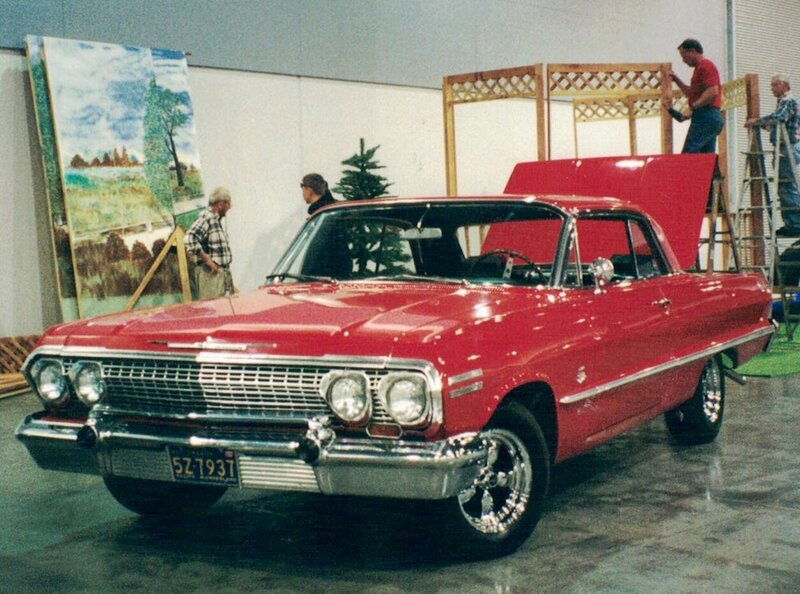 My favorites are a 1963 Impala SS 409 with many factory options and my 1964 Chevelle Malibu SS, also heavily optioned. I really enjoy the comradery and our club’s work on the Portland Swap Meet. I have owned my 1935 Chevrolet 3 window standard coupe since 1961. It’s been rebuilt twice. We found her in Southern Oregon between Myrtle Point and Coquille. I’ve enjoyed being part of VCCA and our region for the last 10 years. We purchased the 1936 4dr Sports Sedan in 1977 from my wife’s brother. Our ‘36 has been in her family since it was brand new. We joined the VCCA in late 1977.